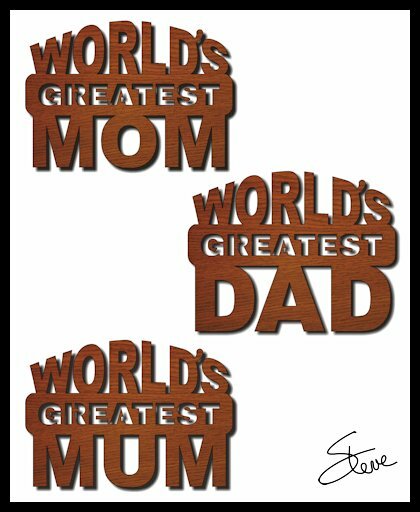 World's Greatest Mom and Dad scroll saw pattern. There are a couple special day's coming up. 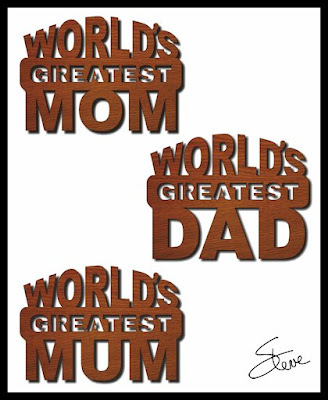 Celebrate you Mother and Father with these eight inch wide word art patterns. 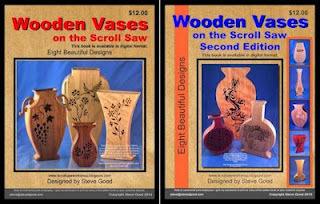 If you cut them from 3/4" thick wood they are free standing. 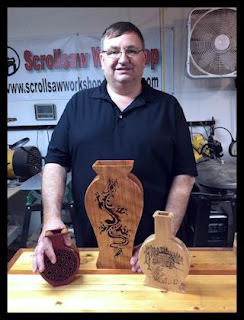 I had another email question today about where to get scroll saw ready boards. I know it's difficult to buy thin boards locally. Most big box stores only have 3/4" thick boards. Here are a few suggestions. Home Depot sells a small selections of craft boards. They usually have Oak and Poplar. They will come in 1/4", 1/2" and 3/4" thick thicknesses. You have to look closely because it is a small display. If you are in a part of the country with a Menards hardware/home store. They sell a few species of boards in 1/4", 1/2" and 3/4" thicknesses. There prices are also reasonable. Kind of. Look in your phone book for a local Hardwood Specialist or mill. Some of these will demension the lumber they sell for an added fee. These are the best for selection of species and cost. 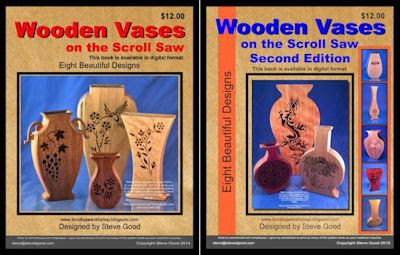 One popular online hardwood re-seller is Ocooch at http://www.ocoochhardwoods.com/ . They have a nice selection of species and different thicknesses and widths. Ocooch has been around for a while and generally get good comments about service. Keep in mind that when you buy online you don't get to look at the boards. Not every board will be perfect. A place like Ocooch does a pretty good job with quality. 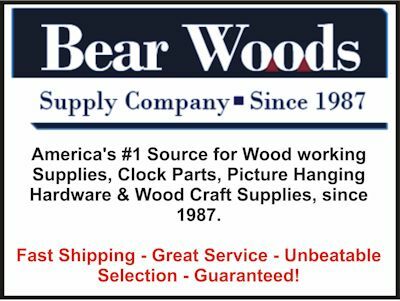 There are a few other online hardwood re-sellers that you can find with a google search. Make sure you check the shipping charges. The packages are heavy. The shipping can get expensive. Buying online from Ebay.com has worked well for me. 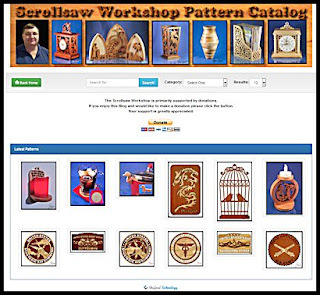 There are a few sellers of scroll saw ready boards. Just search for "thin boards" and you will get a bunch of hits. The boards will usually be cut to fit into one of the USPS shipping boxes. This means that the length will be just under 12" and the widths will vary. Read the description closely. I have purchased these from ebay seller Mainehardwood. I purchased 10 boards of 1/2" X 6" X 12" dimensions from Mainehardwoods a few weeks ago for 39.95 with free shipping. The box arrived quick and included what I ordered. I mixed two species. Cherry and maple. The cherry boards were perfect but the maple had cupped a little. They are still usable but not for every project. That's going to happen sometimes. Wood moves with the weather. Another option is to use Baltic Birch plywood. 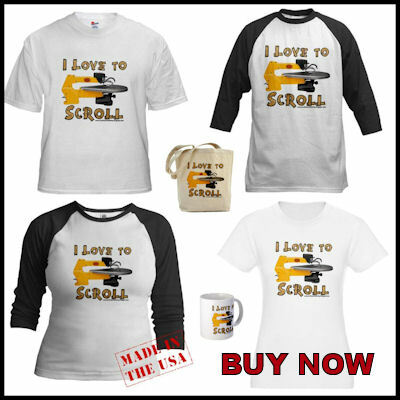 It is a high grade ply that many scrollers use. It is fine for some projects. It's not as pretty has hardwoods. You can find BB plywood online also. Places like Sloans Woodshop are reliable sources. Ocooch also sells BB ply. I have even seen it for sale on Amazon. You can buy BB ply in different thicknesses. 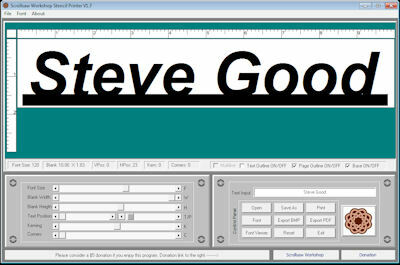 Now for the best but most expensive upfront option. Buy lumber in the rough from a local mill and dimension the boards yourself. 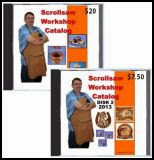 If you are lucky enough to have a well tooled workshop then milling the lumber is pretty easy. 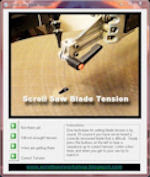 A complete set up would include a Jointer, table saw, band saw and planner. I have spent years buying and upgrading these tools for my shop. 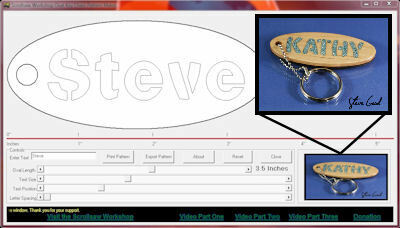 You can get by with just a table saw and planner but you will have to make some compromises. I would buy them in this order. 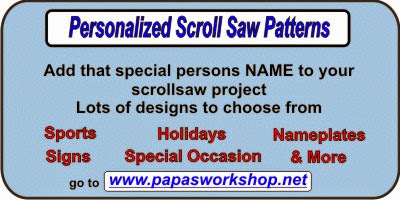 Table saw, planner, band saw then the jointer. I know there is a lot of information here and I left some things out. If there is interest I can do a video showing the complete process to mill a board to scroll saw ready.